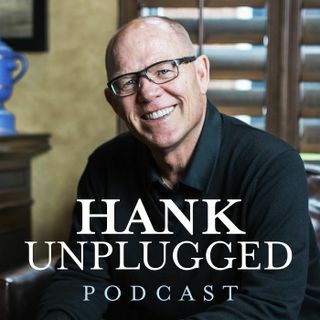 This week Hank is joined on Hank Unplugged by one of his closest friends and brothers in Christ, Chris Wilde. Hank and Chris became friends as a result of the providential meeting between the local church and the Christian Research Institute that resulted in an extensive primary research project that resulted in the CRI Journal titled “We Were Wrong.” Years of research led CRI to amend their position on the local church from one of condemnation to one of commendation, as the group has played a ... See More significant role in the transformation of Hank’s personal life in addition to the moniker of the ministry. This is an emotional episode of Hank Unplugged that you cannot miss. Topics discussed include: The unlikely origins of their friendship as a result of investigating the Lord’s recovery (4:30); The providential meeting between the local churches and the Christian Research Institute and the primary research project that ensued (8:30); The revolutionary impact the Lord’s recovery has had on Hank personally as well as the ministry of CRI (18:30); Brief history of Watchman Nee, Witness Lee and their ministries in China and beyond (21:00); A seminal moment in Hank’s life that caused the moniker of CRI to change to “Because life and truth matter” (26:30); A moving story of the meeting between Gretchen Passantino and a Christian Chinese man who suffered immense persecution as a result of her writings for CRI in the 70’s (33:00); The significance of the local church edition of the CRI Journal entitled We Were Wrong (42:00); The continued damage that misinformation does to the Local Church (53:00); Chris’s transformational testimony (59:30); The immense value of the Local Church to the body of Christ (1:07:00).